To assess the implementation of Planning Support Systems (PSSs) and scenario planning strategies, a common understanding of model goals, performance, and usability are among several issues that need to be addressed. Without a common understanding, resulting policies that are drawn from model outcomes could be compromised. Reporting methods of PSS results should be objective, reasonable, understandable, and useful. We describe a process including several methods of reporting PSS results that allows for minor variation and understandably communicating the results to PSS users. This approach includes finding meaningful resolution and probability matching of PSS model results. We show that our approach is a theoretically reasonable and objective method for reporting PSS results in planning practice. We test our approach using the LEAM PSS in an application in northern Illinois. In this case, our model results inform planners using an easily comprehensible spatial resolution over which the simulation provides useful information for future land-use scenarios. We also apply our reporting methods to compare a preferred scenario to a business-as-usual scenario. The result prompts local planners and stakeholders to rethink their plan implementation strategy for preferred scenario implementation. We conclude that next steps for PSS model development will require both technical and practical focuses in the model reporting and implementation arena. The online version of this article ( https://doi.org/10.1007/s12061-019-09296-5) contains supplementary material, which is available to authorized users. The work used the ROGER supercomputer, which is supported by NSF under grant number: 1429699. We thank Shaowen Wang’s assistance with super-computing technical assistance, which was made possible through the CyberGIS Center Help Desk. Champlin, C., te Brömmelstroet, M., & Pelzer, P. (2018). Tables, tablets and flexibility: evaluating planning support system performance under different conditions of use. 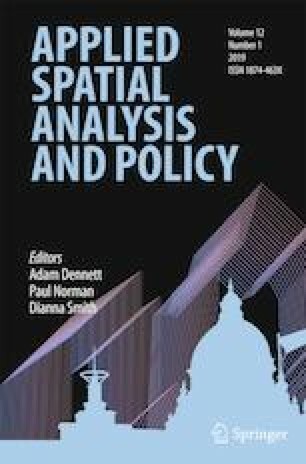 Applied Spatial Analysis and Policy, 1–25. https://doi.org/10.1007/s12061-018-9251-0. McHenry County Regional Planning Commission. (2010). McHenry County 2030 comprehensive plan. Retrieved from https://www.co.mchenry.il.us/county-government/departments-j-z/planning-development/divisions/planning-zoning-land-use-division/2030-comprehensive-plan. Accessed 29 May 2018.